Flower and Gift Basket Delivery from Staples Business Advantage. Staples Business Advantage has partnered with Ital Florist to offer you the convenience of sending flowers and gift baskets for any occasion – all right from your desk. Whether it's congratulating a co-worker or brightening up a loved-one's day, it's now easier than ever. Follow these easy steps to place your order. Log into your eway.ca account. 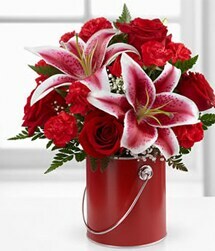 Click "Flower Delivery Services" on the left menu and confirm your customer information. Place your order on Ital Florist. Always use the "Flower Delivery Services" menu when ordering to get the latest deals from Staples Business Advantage. Wedding Bouquets, Anniversary Flowers, Roses, and More!